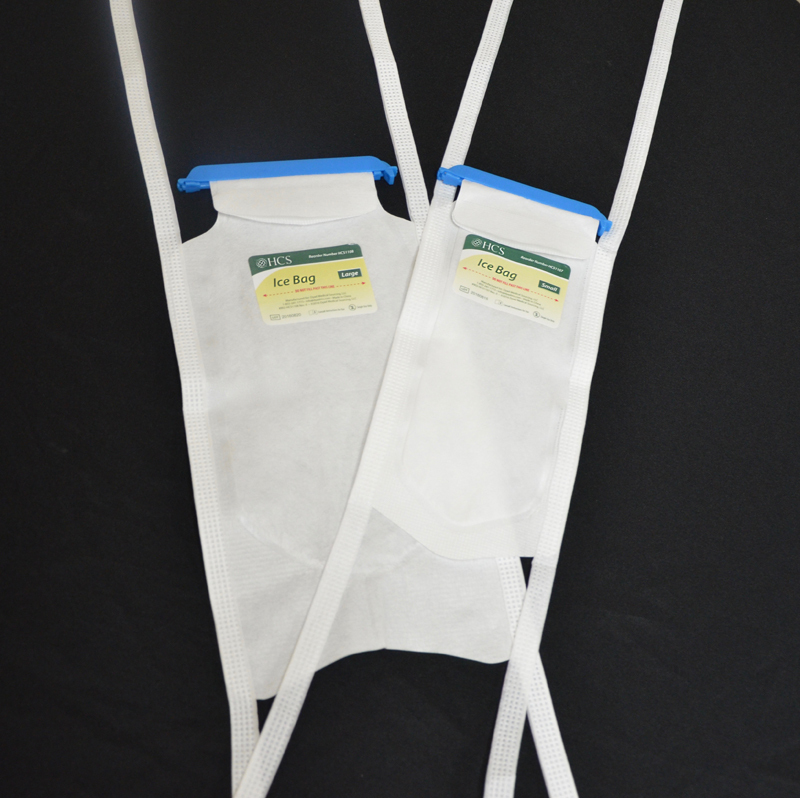 The HCS Ice Bags are available in two sizes and are designed with an easy-to-use, anti-leak clamp closure that allows for quick and easy refill. They are constructed with four ties that help secure the bag and establish proper bag placement directly where therapy is needed. The 3-layer construction ensures a leak-free, moisture resistant bag with a soft outer covering that helps soothe injured tissue while keeping moisture in the bag and the affected area dry.